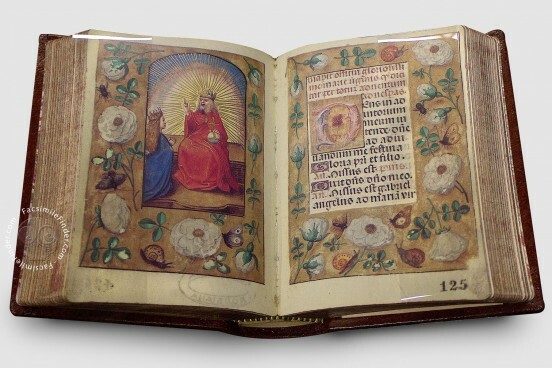 Manuscript book on parchment − 9.3 × 7.3 cm − 480 pp. Full-size color reproduction of the entire original document, Book of Hours from Bruges: the facsimile attempts to replicate the look-and-feel and physical features of the original document; pages are trimmed according to the original format; the binding might not be consistent with the current document binding. Facsimile and commentary volume in a case.